Nadine Tolstoy - meherbabatravels jimdo page! 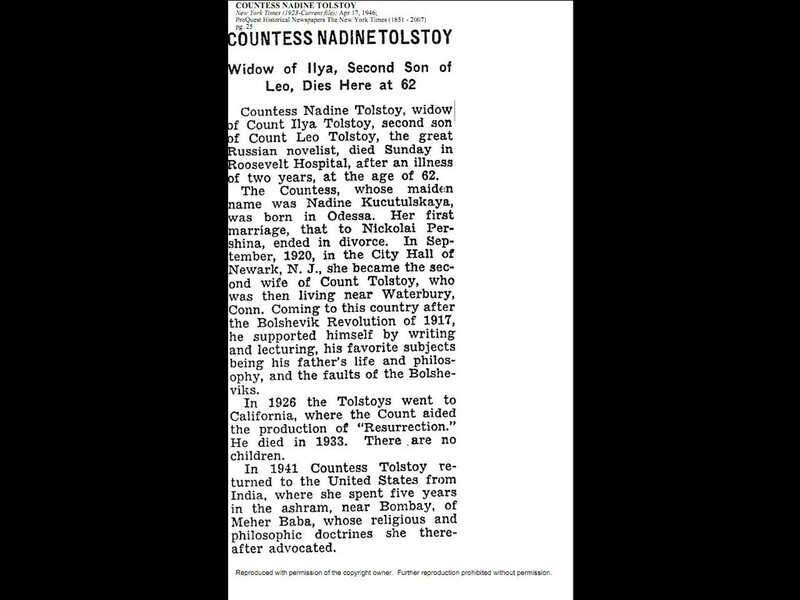 Nadia Tolstoy was the daughter-in-law of Count Leo Tolstoy, the Russian author of War and Peace. She was living with her husband Ilya outside of New York City. She had studied music at the University of Petrograd and spoke several languages. 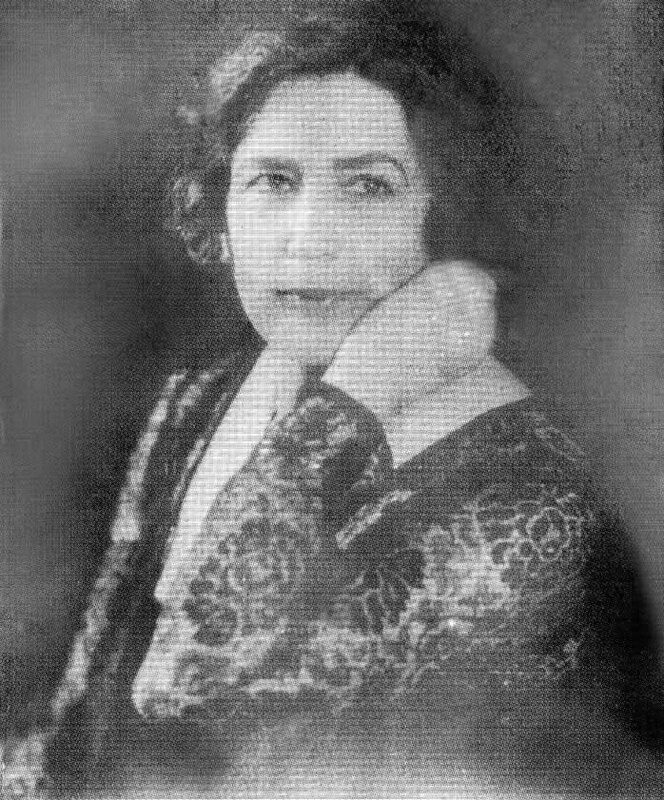 Interested in mystical literature and esoteric philosophy, Nadia was a sincere seeker of divinity; but merely reading books had not satisfied her and she was in search of a living Master. 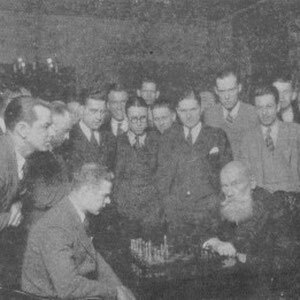 Nadia and Ilya became friends with Malcolm and Jean Schloss. 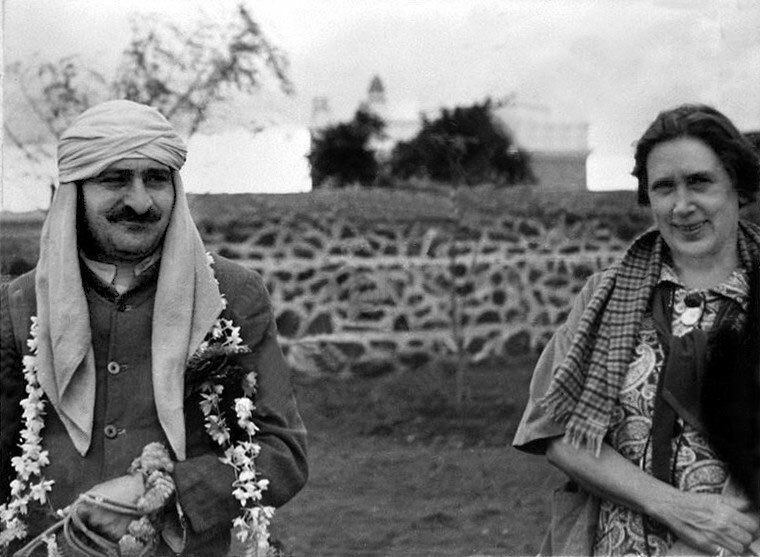 When they wrote to her of Meher Baba's visit, she came to Harmon for his blessing on November l9th. No sooner had she set eyes on Baba than she exclaimed, "My search is over!" 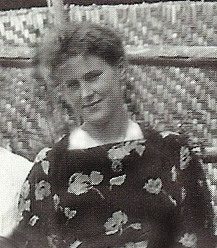 Nadia Tolstoy was later nicknamed Nadine by Baba. As I climbed the steps to his upper room, I remember chanting "Om." I entered the room. Stretched on the couch at the far side of the room was that mysterious, long-expected Being, the Divine Enigma – the True One! Simple, light, thin, small, sparkling and youthful, so unpretentious, but strangely mysterious and clear. He had an almost boyish look, but gazing from high and afar, unfathomably deep, yet smiling with pure light in his shining eyes. Impenetrable, impersonal transparency – purity! He reminded me of something, of somebody, I knew far off but could not catch the vision of. I felt as if he were challenging my inner memory; his whole posture and atmosphere demanded, "Can't you remember? Don't you remember me from the past?" I felt he was my life, my resurrection. Baba spelled on the board, "You have been waiting for me a long time and now I have come. I will help you." Nadine started to tell Baba about herself, but he interrupted, "I know all," and simply repeated, "I will help you." During the short meditation with Baba, I knew he was helping me, reading me. All the time, I felt his eyes seeing into the depths beyond that which we can see, reading the open book of me – working within me. I knew he was my Master. His immediate recognition of my soul created a feeling of absolute confidence. Comforted, I already knew that he was the True One who knows and who can help. He was like the shining sun that we do not question. He simply and naturally entered into my life and into my hidden being. As I departed, suddenly it became clear that he was Krishna. His happy, serene appearance and all his mannerisms conveyed something undefinable that I yet seemed to recognize. The truth of his loving understanding, the immediacy of direct response given with so much love and practical instructions have been a gift of God to me, setting my heart at peace. I had an absolute confidence that now my path was found and the Supreme Guru was here. On his last day in the city, Elizabeth Patterson and Nadine Tolstoy came together to say goodbye to Baba. Both ladies were overcome by his love and remained his disciples thereafter. 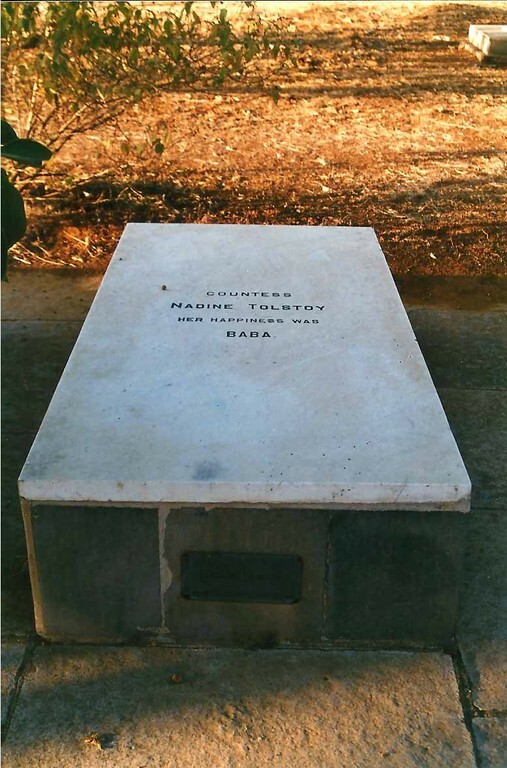 THE DAY of the Collins interview was May 18th, and Nadine Tolstoy had come for Baba's darshan. Finally, after waiting a long time, she had her interview. Seeing him again, her faith in Baba was confirmed and she accepted him as her Master forever. "My intuition was unquestioning and sure," she recorded. "I saw Christ before me as he was seated on the couch in the expression of all his figure and divinely lit-up face, in his eyes beaming love ... the fulfillment of a long-awaited meeting, the climax of my life." Leaving the room, she loudly shouted, "Jesus Christ!" and the onlookers turned and gazed at her. Nadine later explained her experience, "Something within me recognized, in this dear shape of Meher Baba, the incarnation of Jesus Christ of Nazareth. The unbelievable became a revealed fact. I gave my will to his Will, my life to his cause of Truth and Love, knowing that to love the Truth means to live it." Finding out about her hardships, Baba remarked to Nadine, "I will repay you for all your suffering. I will give you permanent bliss. You will see things as they are, as you can see things now, in this incarnation. You are a beautiful soul, and one day will receive what your father-in-law had longed for – oneness with God." 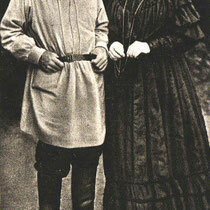 The next day, Nadine brought her husband Ilya, the son of Leo Tolstoy and himself an author. Ilya asked Baba, "How can one love when there is so much evil in this world?" Baba answered, "You have to take love into your heart. You are a fine man; soon you will understand." Ilya, too, was deeply impressed upon seeing Baba and wept. Returning home, he confided to his friends, "It was the first time in my life that I met someone in the flesh who was like Jesus. I felt his divine influence and was assured of his help. It was the first time in my life that I met a man who has divine love!" 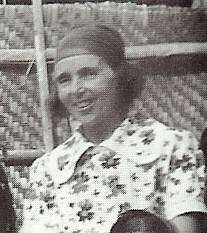 Ilya was to die a year and a half later, but his death freed Nadine to journey to India to be with Baba, as her close discipleship with the Master developed. Baba and the mandali arrived in Venice, Italy, on Friday, December 2nd. 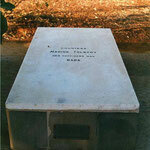 He was met there by Elizabeth Patterson, Norina Matchabelli, Nadine Tolstoy and Quentin Tod. They then traveled by train toward London, arriving in Milan on December 4th, where Enid Corfe and another devotee met them. 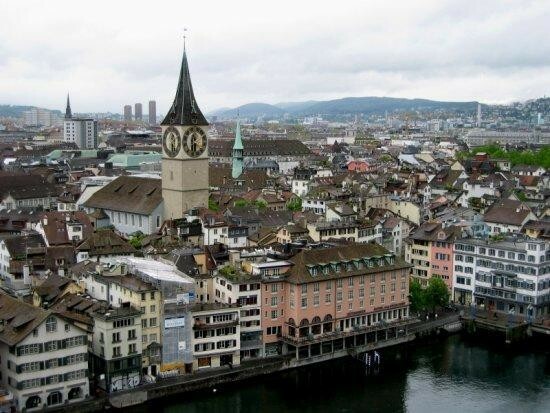 The group stayed overnight at the Hotel Diana, leaving at 5 P.M. the next day. Baba arrived in Paris at 6 A.M. on December 6th and left for London at noon, arriving the same day. Immigration authorities were told of Baba's two previous visits to America and they allowed him and his group to pass through customs without unnecessary questioning. 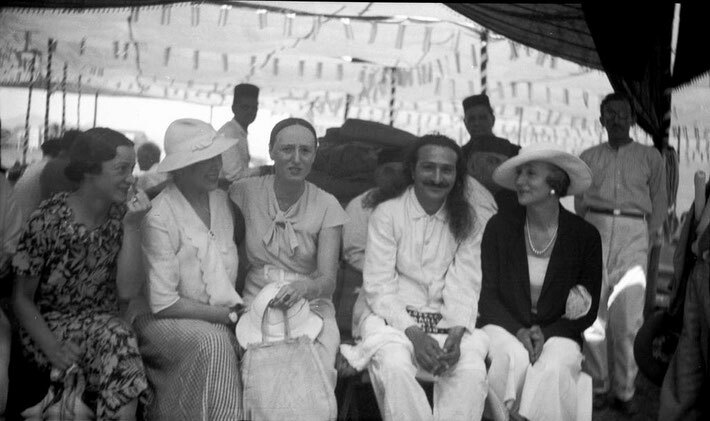 After leaving the customs area, Baba was greeted by Norina Matchabelli, Nadine Tolstoy, Elizabeth Patterson and Graham Phelps Stokes. The group proceeded in two taxis to the Shelton Hotel on Lexington Avenue where Norina had arranged for Baba to stay. Rano and Nonny stayed in another hotel. The Gayleys' home was in New York and after seeing their family, Rano and Nonny went to the hotel to see Baba. Baba had instructed them to come to the hotel each morning to say "Good morning" to him before spending the day with their family. When they first went to Baba's room, they found Nadine Tolstoy posted on guard duty outside. They had never met her before and she prevented them from entering. Rano spoke up, "We were with Baba for eight days on the ship. Who are you to stop us from seeing him? Go and tell him we are here." She did so, and then allowed them to pass. Baba embraced them and they left his room. Nadine Tolstoy, whom the Shaws knew, was outside. Baba had been holding back "the floodgates" of tears for Jeanne. But when she left his presence, the gates opened and the tears began to flow. Many bitter experiences of the past often open new vistas that help one to understand things better, as they really are not as they appear. Your hard trials in life have been instrumental in making you what you are now, a changed being with a different outlook on life, and ushering you into the spiritual reality where you alone will find peace, bliss and love. "Try to pull on till I tell you to do something else. Trials and hardships are stepping stones to spirituality. They lead you on to your ultimate aim and desire – to realize the Truth – and now that you have surrendered yourself to me, they bring you closer to me, in love and devotion. Sufferings in selflessly serving others also bring a better understanding of things in life. So carry on, dearest, as you are, always keeping me in mind and at heart, as you do. You will thereby be a pure channel and a vehicle for me to work through for the welfare of humanity, and thus participate in my great work." An acquaintance of Nadine Tolstoy's, Duchess Marie was a Russian aristocrat who had also immigrated to America. She was a wealthy lady who had become a freelance journalist and had corresponded with Baba. 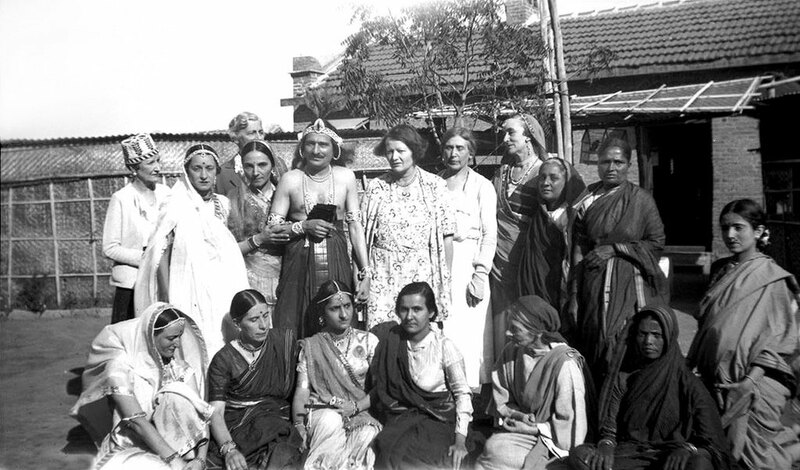 However, after meeting Baba, she decided not to stay as she became uneasy about what living conditions would be like in Nasik. She was afraid that life in an ashram would mean a loss of her privacy and individuality. Because she was wealthy and had been exploited, the Duchess suspected Baba of being like Rasputin when he advised her to abandon her plans to travel in India and come instead to Nasik for a rest, inviting her to help with the magazine he intended starting. The Duchess mistrusted Baba's intention and mistook this as his attempt to launch a project using her name. 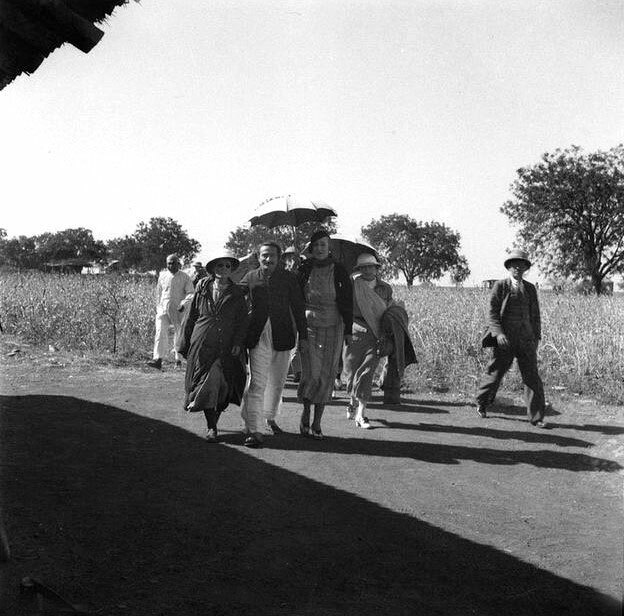 Failing to see the great opportunity before her, the Duchess stayed at Bhandardara for only four days and traveled on in India, never to be in Baba's contact again. Heaven and hell, God and man all are here. You are now God, plus Nadia. When Nadia disappears, God remains. So, Nadia must go. Let Nadia go, and then God remains. Nadia has to make Nadia go. If you merge in me, Nadia goes. The easiest way for Nadia to go is to forget herself – to forget herself as Nadia. How? Think less of Nadia by thinking more of Baba. When Nadia merges in Baba, Nadia is finished. Baba remains. But if you go on thinking how to do it and how to merge, then this thought keeps you back. Don't think of how and when – think of Baba. But better even than this, and safer too, is to merge in my orders – to do as I say. That is, all should obey instantly! 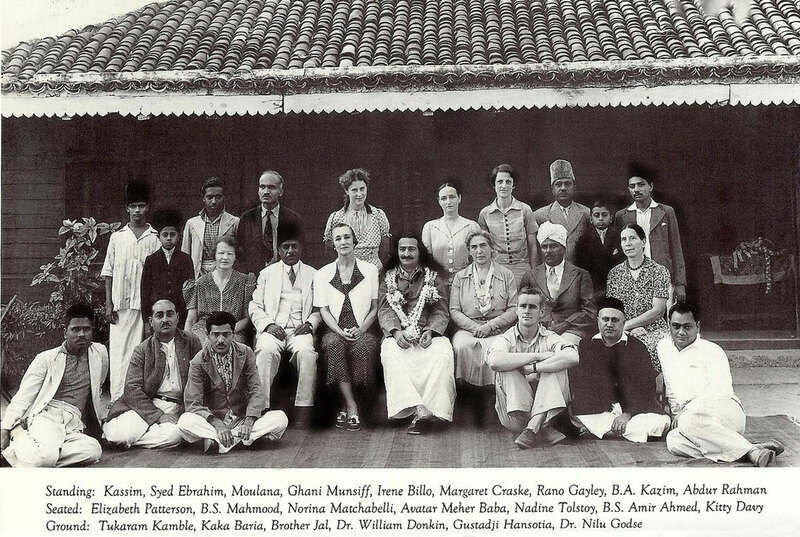 1937 ; Nasik, India. 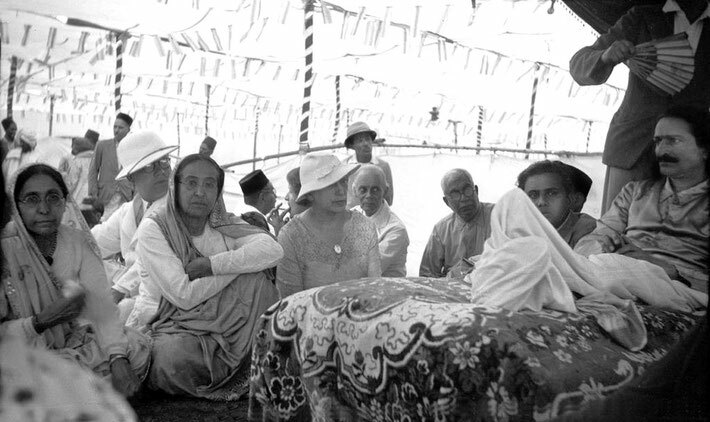 Nadine is next to Naval Talati ( standing wearing white suit ) on the right. Baba smiled, spelling out, "Love Baba! That is all you need to do. The fun of it all is you are already united. It is funny. But you have to go through it – you have to, everybody has to. You have to know, 'I am already one with the Infinite, I have always been infinite.' "
Malcolm Schloss asked Baba, "How can we go beyond becoming and get to pure being?" Baba replied, "You want to know how to realize the Self. Very cute. He asks the only thing that matters! "Becoming is the state of not knowing – ignorance; being is Realization – Knowledge. Unless one is imprisoned, one cannot appreciate freedom. A fish born in water lives in water. It cannot realize water. When it comes out of water it goes back into water and knows the water." 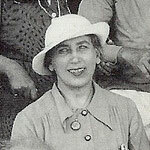 Nadine Tolstoy said, "Then we should bless everything, even our difficulties, shouldn't we?" "Bless everything, even the sweets and lemon soufflé!" This concluded Baba's meeting with the Westerners on March 4th. 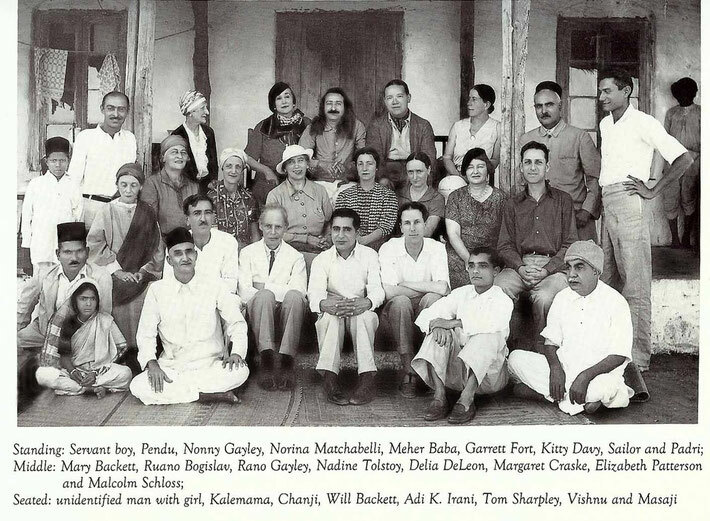 Courtesy of "Best of The Glow"
On October 25th, 1937 - Sam Cohen was sent to Mexico by Baba, and Nadine Tolstoy left for Zurich. Nadine is most fortunate – she wants to lean but has no one to lean on! Her nature does not agree with anyone's! She is most loving and wants to do everything for me. She would speak for me even on the top of Mount Everest with only the snow to hear her! MSI Collection ; India. Nadine is seated at the rear near Baba. Nadine Tolstoy was the matron of the maternity home. On one occasion, Baba explained to her, "There are thousands of hospitals in the world. I could have thousands of nurses to work here. If I have given this work In the hospital to you, it is because I want you to learn the real spirit of serving – selflessness." 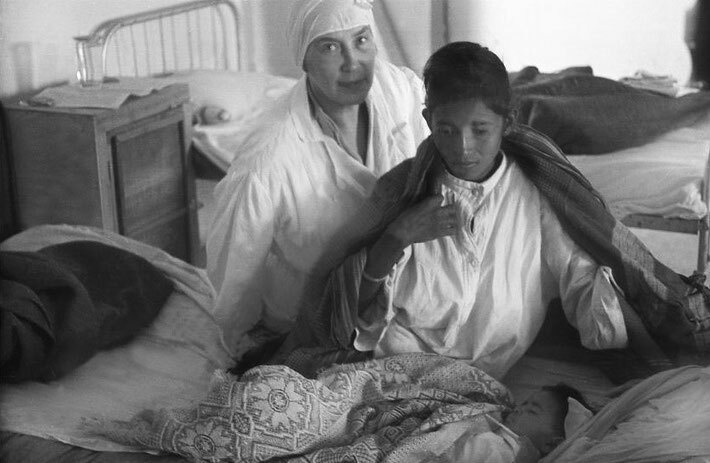 To the hospital came mostly the poorest elements of the country, wrapped in their rags and worn-out saris – the real destitute. When the medicines and injections given by the professional doctors could not bring its due relief, Baba's appearance and loving embrace acted as the "holy wine," reviving their hopes and giving them the lasting impetus of recovery. The joy of seeing Baba and the faith that he alone can really help acted within their hearts as a sure remedy. 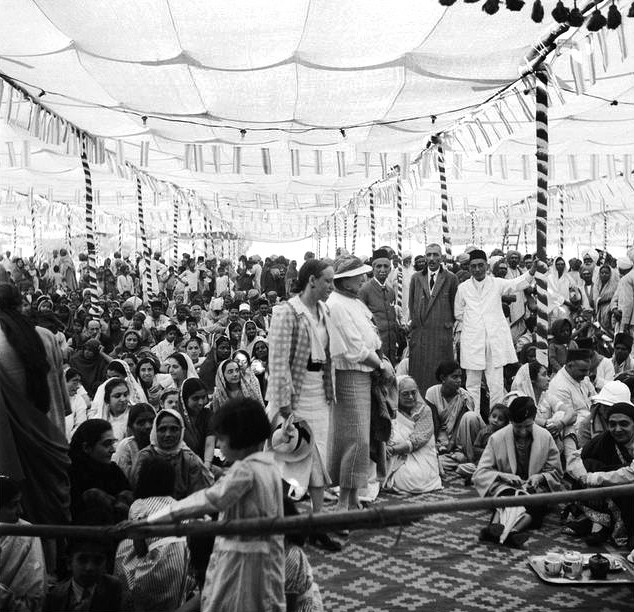 The question of establishing an ashram was being further discussed during this period. After accepting Chowdhary's offer of land in Mandla, a plan had been drawn up. Some people in Mandla knew about Baba, but to make the general public more aware of who he was, a public lecture was arranged on May 12th, in which Dr. Deshmukh, Norina Matchabelli and Nadine Tolstoy delivered speeches. Norina was most interested in setting up the new ashram and would gather information and seek support by contacting influential citizens. Baba, however, did not participate actively in this as he was too occupied with his mast work, which he indicated was more important above all other matters. A second meeting was held on the evening of November 6th, in the Bangalore Town Hall. Again Dr. Deshmukh, Dr. Ghani and Norina, along with Nadine Tolstoy, gave lectures. Before the meeting Baba remarked to Deshmukh, "I won't let it be a total success. However, I'll make certain it is just fifty-fifty – fifty percent opposition and fifty percent sympathy." A third meeting was held at the Indian Institute of Science in Bangalore on November 9th. The Nobel Prize winning Indian physicist Dr. Chandrasekhara Venkata Raman chaired the gathering. Norina, Nadine and Deshmukh each spoke about their experiences of being with Baba. 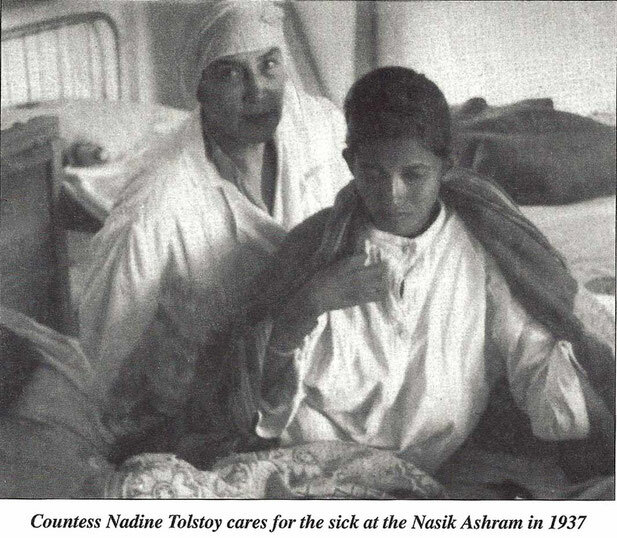 Soonafter, Nargis Kotwal fell ill, and Nadine Tolstoy was assigned the duty of nursing her. When she recovered, Baba asked her, "What do you think now? Savak has left his job; he is unemployed. You have sold all your property and now have no money. Aren't you worried?" "I belong to you, Baba," she said. "Be gracious enough to accept myself and my children in your service." Baba smiled, spelling out, "From today your responsibility is mine. I will look after you all till the end!" Baba left Meherabad for Ranchi on July 3rd, 1940, by train, at 3:30 P.M., with the men and women mandali. 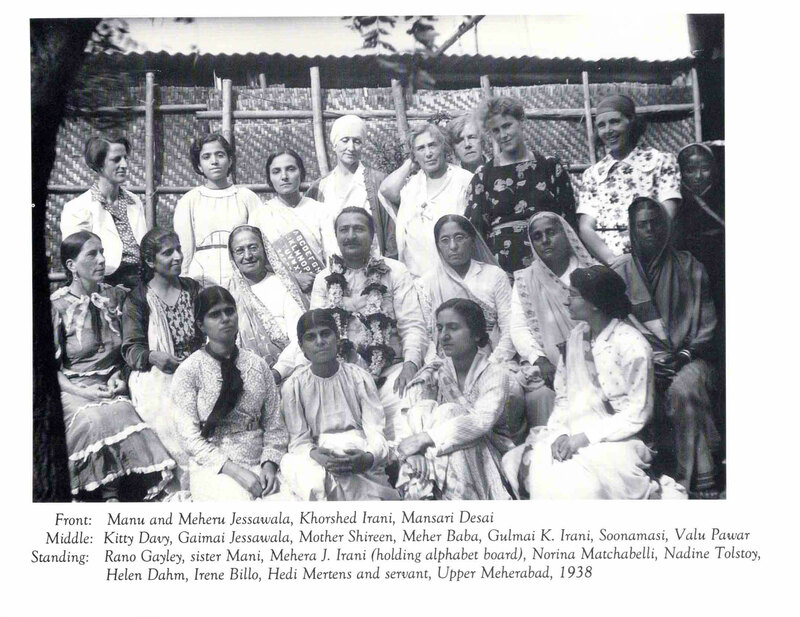 The women who accompanied him were: Mehera, sister Mani, Banubai, Dowla, Elizabeth Patterson, Irene Billo, Katie, Kakubai, Kharmanmasi, Khorshed, Kitty Davy, Mansari, Margaret Craske, Nadine Tolstoy, Naja, Nargis Kotwal, Norina Matchabelli, Rano Gayley, Soltoon, Soonamasi, Valu and several women servants. Baba said ; If Nadia's [Nadine Tolstoy's] cat eats the bird, Nadia will not get annoyed with the cat. But if Elizabeth sees the cat eating the bird, she will punish the cat and Nadia will be upset with Elizabeth. 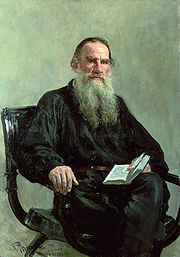 Nadine Tolstoy could not grasp it and asked, "Does the shadow of the Voice of God gradually get fainter in every plane?" You cannot say that God is infinite and gets more and more finite on every plane. Infinite cannot be finite. If you say God's Voice becomes weaker, it is not right. God's Voice cannot become weaker. It is like the example of the bells. Let us say, the first bell is of gold, and that its first shadow is an iron bell; the second shadow is an earthen bell; the third shadow is a paper bell, and so forth. All have the same shape, but the gold bell and the paper bell are quite different. So, in the case of the paper bell you cannot say the gold bell has become weaker. 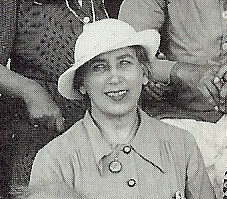 Nadine Tolstoy was observing silence according to Baba's instructions, and now communicating through hand signs. When mentioning some recent quarrel between her and Norina, Baba commented, "You must observe silence, not only of the tongue, but of desires, of hatred, of bitterness, of greed, et cetera, too." Baba said, "Then, we leave Jaipur for the place where all of you might get kidnapped, buried or bombed by the Russians!" Baba then asked, "If someone asked you who is Meher Baba, what would you say?" Norina Matchabelli said, "The God-Man!" Baba concurred, "Not God, but God-Man. God-Man is more than God! God is absolute. One who manifests the absolute is the God-Man. "The person who is one with God is Man-God; it is wrong to say just God. Jivatma means man; mahatma means pilgrim on the path; Paramatma means God. When Jivatma becomes one with Paramatma, man is called Shivatma. Paramatma cannot be called Shivatma." 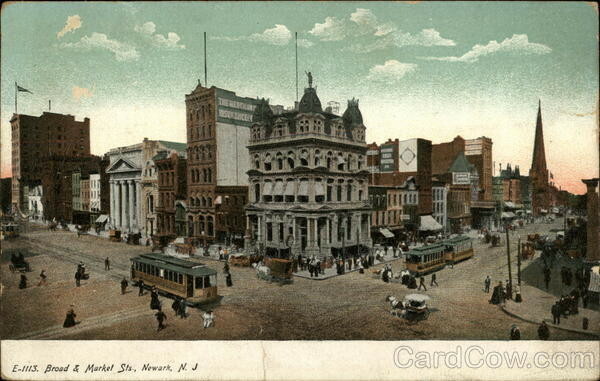 I have decided to send Norina Matchabelli, Nadine Tolstoy and Elizabeth Patterson to the U.S.A., and Margaret Craske and Irene Billo to Europe, to spread my message there. By the end of April, this declaration will be announced universally, and my disciples will personally deliver the final continuation message in places allotted by me. On March 15th, Baba discussed with Norina Matchabelli, Nadine Tolstoy and Elizabeth Patterson about disseminating his message in America, and with Margaret Craske and Irene Billo about doing the same work in Europe. You must come back from the West, if alive, before I speak. Spirituality says, "Life and body are zero." So, if we spiritualists do not die, then the materialists must never die. Yet, they are dying for their country. You all must die too – or you ought to have died long ago. So, you all must really die soon. Margaret and Irene will have plenty of opportunities to die, if they do as I instruct, but with no hesitation. So, be ready to go and be prepared to stay! 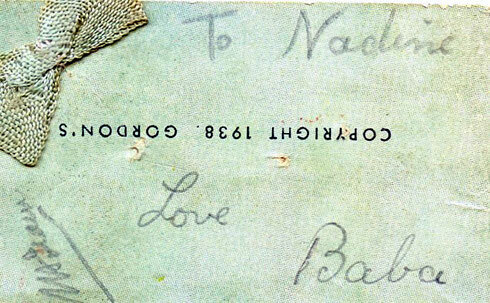 Margaret was still corresponding regularly with Delia DeLeon in England, who was spreading Baba's name there with Will Backett. In America, Elizabeth was going ahead with her plans to develop the Myrtle Beach property, and Rabia Martin, Darwin Shaw, Frank Eaton, David Brooks, Hilda Fuchs and a few others were staying to help her. Norina was living in New York City in an apartment with three young ladies – Filis Frederick, Adele Wolkin and Dolores Shaw (Darwin Shaw's niece). Nadine Tolstoy was staying with them, but had developed sclerosis and was not well. Filis and Adele had moved in with Norina, Elizabeth and Nadine during December, 1943. 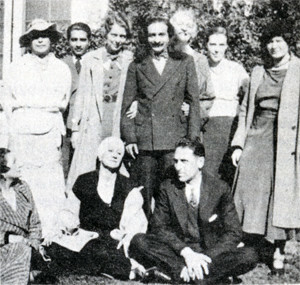 Norina had invited them, indicating she intuited – through her "spiritual thought transmission" – that it was basically Baba's invitation, as he sought to draw them closer. On April 14th, 1946, Countess Nadine Tolstoy breathed her last in New York's Roosevelt Hospital at the age of sixty-two. Baba received the news on April 16th, in a telegram from Norina, and immediately cabled back: "Tell Elizabeth Nadia lives in me, with me and for me more than ever before." Adele Wolkin had been nursing Nadine until the end. "Nadine Tolstoy, her happiness was Baba." Nearby are buried the ashes of Countess [Nadine] Tolstoy, Nonny Gayley (Miss Gayley's mother) and two of his favorite dogs that were important in his work. 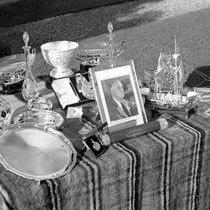 Also there is a tomb for his parents in which lie their garments, for they were buried in the Parsi fashion. 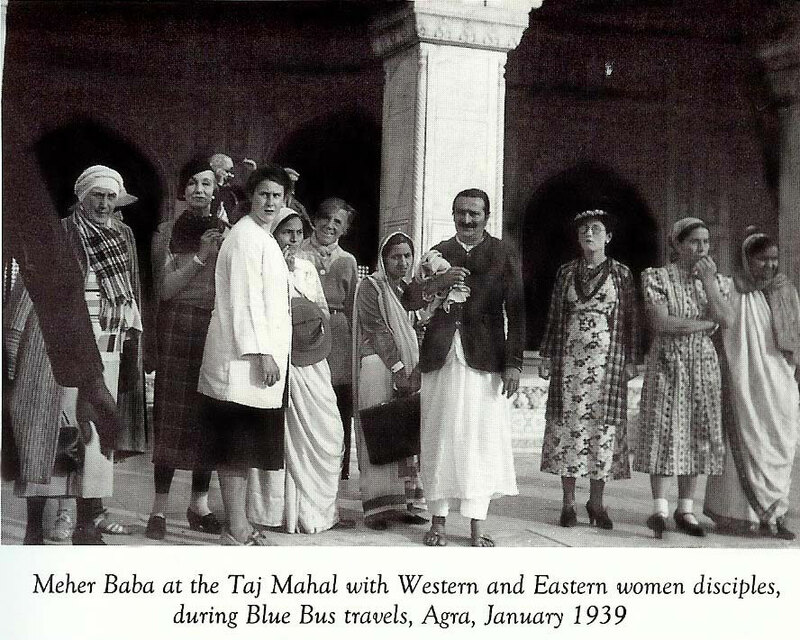 One ninety-year-old woman who met Baba in New York was Mildred Kyle. 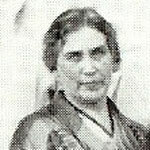 She first heard of Baba through her good friend Nadine Tolstoy, who had shown Mildred's picture to Baba one day in India. Baba took it and spelled on the board, "A great soul," and then placed the picture in his pocket. 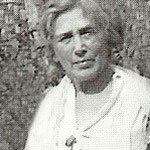 Mildred, or "Mother Kyle" as she was known, had been waiting for Baba to come to the West coast. But after Ivy informed her of the accident, she flew to New York with a friend, afraid she would not live long enough to get a second chance to meet Baba. COUNT ILYA TOLSTOY MARRIES A COUNTESS; Son of Russian Novelist, a Lecturer. 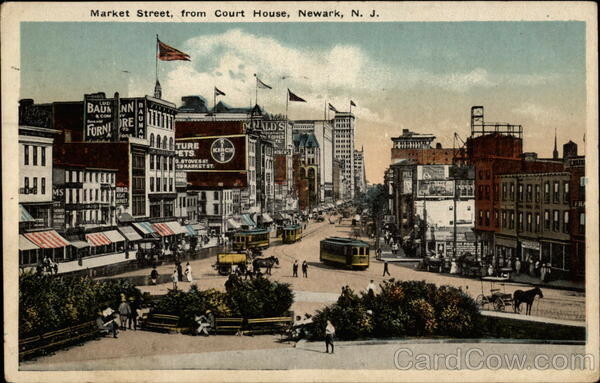 Wed July 23 to Nadine Pershinaby, by the Mayor of Newark. Both were divorcees. 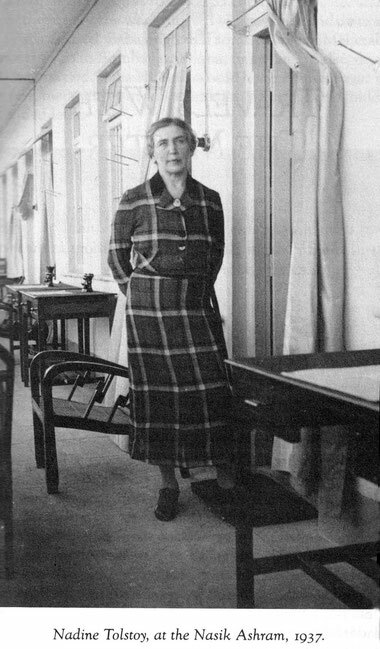 They had met on Galician Front during the World War 1, while Countess was in Red Cross work. 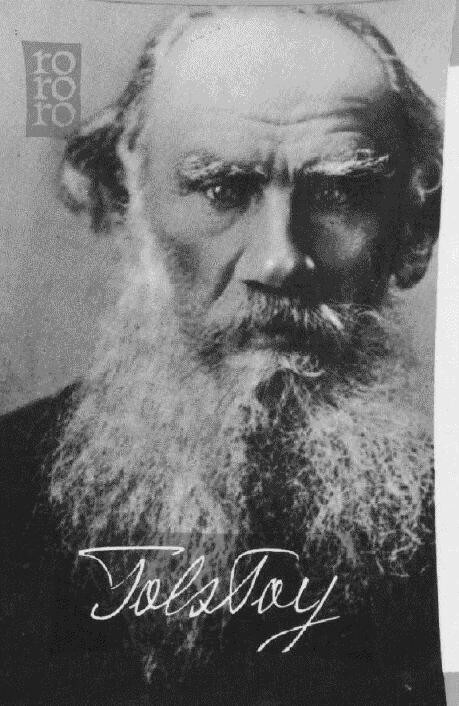 Ilya Lvovich ("son of Leo") Tolstoy was the 3rd child of the world-famous Russian writer and philosopher Leo Tolstoy (1828-1910), from the latter's 48-year marriage to Sonya Behrs, a marriage which produced 13 children in all. Although 5 of the Tolstoys' children died at birth or in infancy, the other 8 (including Ilya) survived to adulthood, and had careers which took them in many different directions. 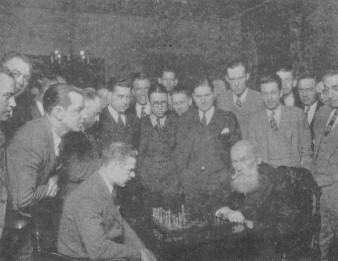 Ilya worked as a journalist, migrated to the USA in 1918 (around the time of the Russian Revolution), and had a motley career in the States. He did some journalism, including writings about his famous father in Russia, and served as a consultant on a few Hollywood films with Russian themes, including "Resurrection" and "Love" (1927). 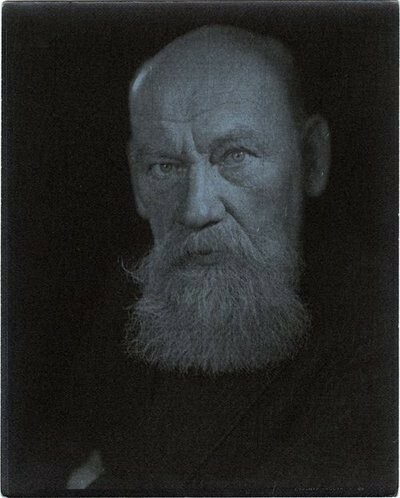 In one film Ilya Tolstoy even appeared briefly playing the role of his own father Leo Tolstoy. He died in poverty in a New York hospital in 1933. Ilya Lvovich Tolstoy's children were: Anna (1888- ), Mikhail (1893-1919), Andrei (1895-1920), Ilya Jr. (1896- ), and Vera (1898- ). IMDb Mini Biography By: Prof Steven P Hill, Russian & Cinema, University of Illinois (USA). Resurrection is a 1927 Hollywood adaptation of the Leo Tolstoy novel Resurrection. Filmmaker Edwin Carewe adapted the book to a feature length silent production starring Dolores del Río and featuring an appearance by Ilya Tolstoy. In 1931, Edwin Carewe directed an all-talking remake of this film starred byLupe Vélez. Katusha, a country girl, is seduced and abandoned by Prince Nekludov. Nekludov finds himself, years later, on a jury trying the same Katusha for a crime he now realizes his actions drove her to. He follows her to imprisonment in Siberia, intent on redeeming her and himself as well. Deep in the rear, stretched on the couch was that mysterious, long expected Being, the Divine Enigma — the True One! He reminded me of something — of somebody I knew far off, but could not catch the vision. I felt as if he were challenging my inner memory, and his whole posture and atmosphere was asking, "Can't you remember? Don't you remember me in the past?" 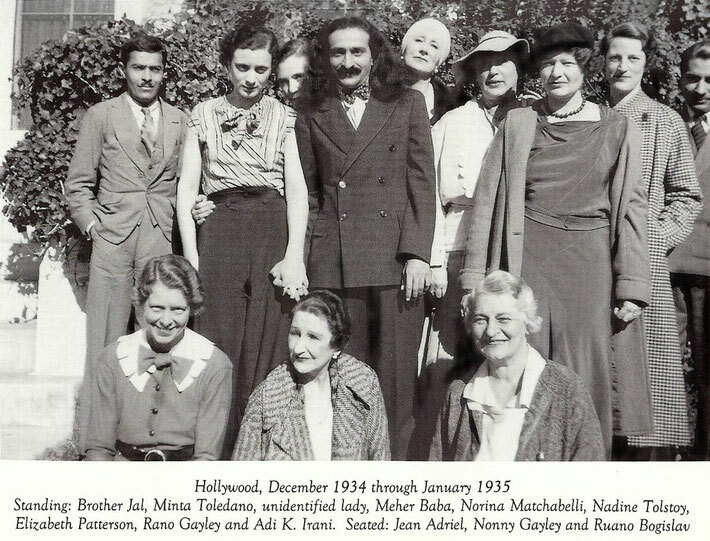 Meher Baba returned to New York [May 1932]. This time it was the greatest feast of my heart.... Unforgettable will ever remain the divine experience of seeing and contacting him again. I came in the early morning, hoping to appear at any time of his calling. I had to wait long hours, but they seemed to me a granted blessing for I could sit in stillness seeking deeper communion with him, attuning my whole being for the sacred moment.... It is very difficult to speak of one's most sacred moments of life. And it is still more difficult to express the deep impressions of Baba, as I saw and felt him this time. As the Master gave me the sign to leave, I immediately stood up and in profound respect to his divinity and in order to prolong the precious moments so short and so eternal, I began to leave backwards, looking at his eyes which were flaming love and light, reaching the deepest recesses of my being.... He smiled, revealing himself as Christ. As I was going out, all of a sudden I stopped and with a great force of inner recognition, spontaneously, unaware to my own intent, I declared as loud as I could: "Jesus Christ!" with all the solemnity of those great words. 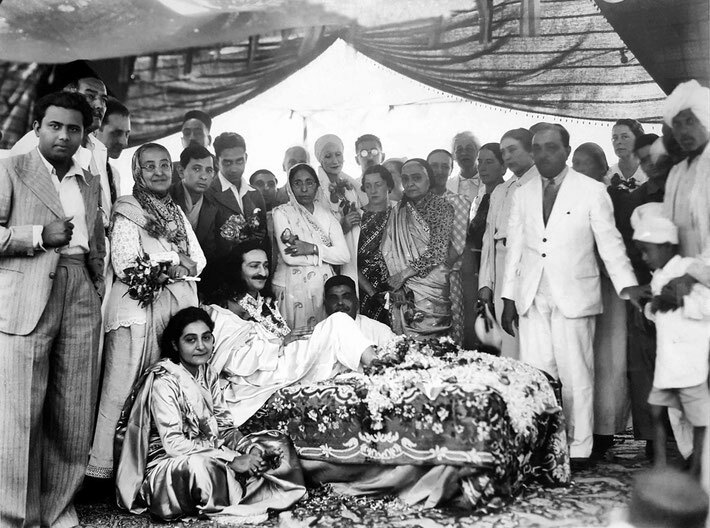 Something within me recognised in this dear shape of Meher Baba the incarnation of Jesus Christ of Nazareth. So, the unbelievable became a revealed fact. 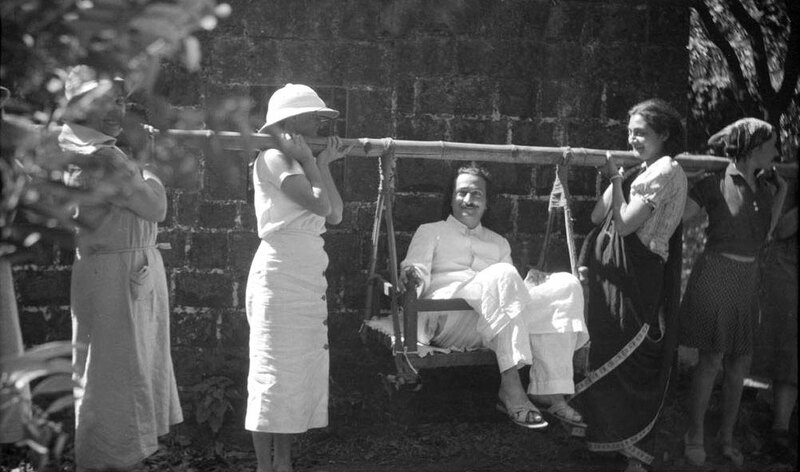 Meher Baba’s humor and wit is subtle and to the point ; He will lift the lower moods in laughter and fun, making everybody light and alert, free from heaviness and limitations of self-consciousness. His greatest words of Truth become alive, sparkling in wit and inspiration. In His subtle way He stirs the joyous qualities in human nature and changes one’s moods accordingly. He likes cheerfulness as a sign of real, free response to Him. In all of life, in beauty and humor, in ugliness and misery, in richness or poverty, He is the One in each heart — in joy or sorrow. One moment He works and plays with joy, another moment He works and plays with pain, always turning the game into glimpses of spirituality and greater detachment. As His work is in life, through life and for life, as One Life in its ultimate meaning, He links all life events with their spiritual good. All our inclinations are used naturally for their perfected expression in a detached, impersonal, free way. His main concern is to see that it is done with love, from the heart : work, write, speak, serve from the heart... and with that He awakens Love. The fundamental law of being is One for all. This happy wise Man says : « The self is self’s curtain. That is why it is almost impossible to know self. It is so completely one that unless there is duality the experience cannot be had ; but when the duality is there then ignorance creeps in. Eyes cannot see themselves unless the mirror reflects them. The sparrow to see itself needs a mirror ; but when it sees itself in the mirror, it thinks it is some other sparrow and fights with the reflection. Why ? The duality caused by the mirror made the sparrow see itself ; but ignorance made it think its own reflection to be another sparrow. Unless there is a mirror the sparrow cannot see itself and when the mirror comes, the ignorance comes too. Meher Baba says : « Material freedom binds you to Maya and leads to spiritual avoidance — it is no freedom. The freedom that helps towards truth and spirituality is real freedom. But some who have faith and believe in God lead a life without character and fail to make any progress ; while there are others who do not even believe in God but lead such a noble life that they automatically come closer to God. Whereas atheism is generally born of intellectual vanity, agnosticism may more often than not be the outcome of intellectual humility. Humble, honest agnosticism is sure sooner or later to be converted into firm conviction of the reality of God. One day when His work will be done He will lay aside His body, and then His body will be buried in the place assigned. Millions of pilgrims will be drawn to this Abode of Peace and Love ; to this Abode of Rest, of Hope, of unforgettable memory, as a unique place for the comfort of the heart. 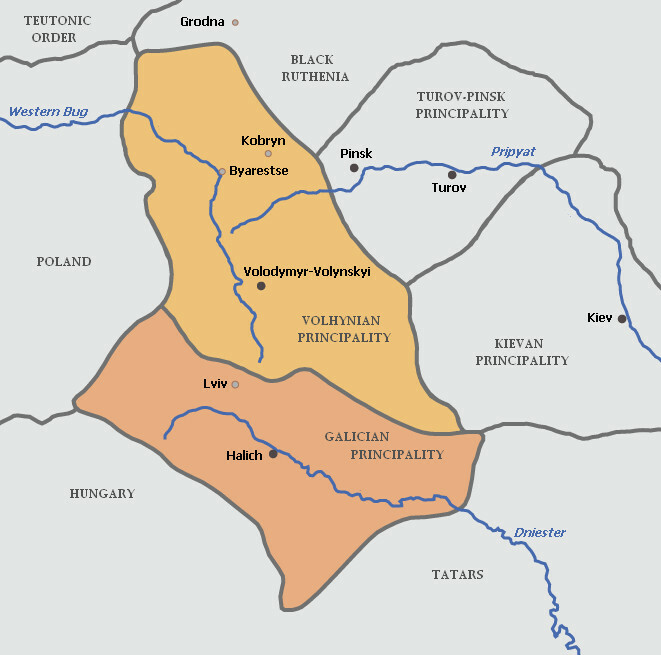 assert their ways and peculiarities. true spiritual significance of the experience. you free, unbound and happy." higher state of spiritual well being. fully utilized for spiritual advancement. in the elimination of the ego. law of God to man. and its corresponding planes of being. problem of each human being. and psychic cravings or phenomena. the sign of real spirituality. Only spiritual healing is real healing. distorted false images of primal perfection. "Love is the remedy," says Baba. with all its disastrous consequences. One may doubt it now, but the Russians have a long history of mystical and spiritual aspiration. One of the world's most famous spiritual treatises, The Way of a Pilgrim, describes the wanderings of a Russian saint, who focused on a single prayer, or mantra, the repetition of the Holy Name of Jesus. 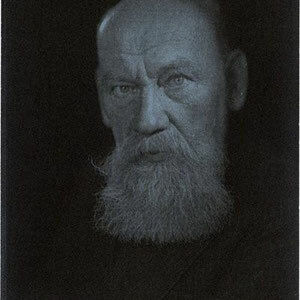 And Count Leo Tolstoy, the great writer, expressed his deep religious feelings in Resurrection, What Men Live By , etc., and inspired Gandhi very deeply. 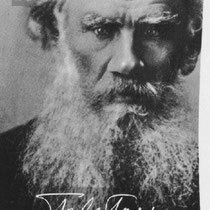 Once Baba told Nadine Tolstoy that she would receive what her father-in-law, Leo Tolstoy, had longed for ... oneness with God. 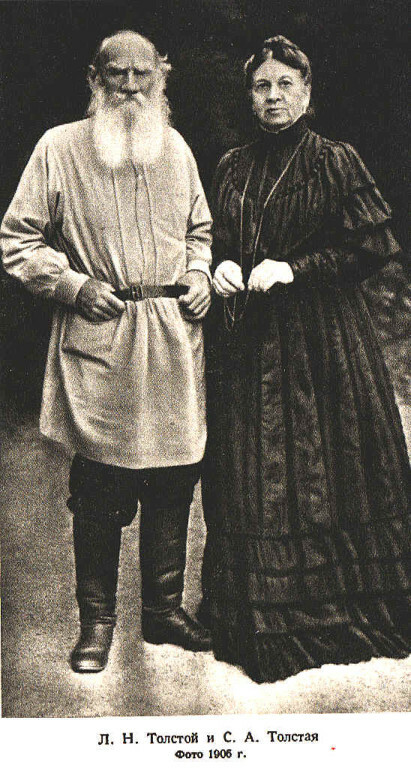 Nadja had married Count Ilya, his son. It was a love match that endured to the end. She was his second wife. Both had been deep metaphysical students in search of truth, and undoubtedly this is what drew them together. Actually, Nadja had seen Ilya in a dream before meeting him in person. Previous even to this inner encounter, she had had a remarkable dream in which she found herself on her knees in a deep cave, searching in the dark. 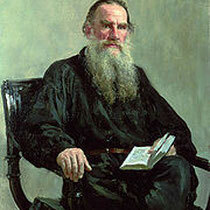 There she came upon Leo Tolstoy, whom she had never met personally. Suddenly he solemnly handed her a rolled up parchment scroll. Greatly amazed, she unrolled it and in large gold letters it said, "High Truth is written". She never forgot the dream or its ambience of deep feeling. It foreshadowed her connection with the Tolstoy family. She and her husband were white Russians of course, who had moved to America. There were financial and health problems and the loneliness of the displaced émigré. Nadja plunged into the spiritual search to dispel the darkness. She avidly studied the Gita. Occasionally there were spiritual glimpses, consoling experiences of inundating bliss. She took up the study of meditation and kriya yoga with Swami Yogananda and, "Inexperienced, I took the Higher Initiations," she says. But as the result of not having a perfected guide, she began to have some bad effects. "I prayed as never in my life to lift the dark shadows. I asked, I prayed constantly for help, for a true Master, a real guide". Several years passed in such struggles, until the day when an invitation arrived from their friend, Malcolm Schloss, to meet the "Perfect Master, Shri Meher Baba." She responded immediately. "My intuition was unquestioning and sure." She records. 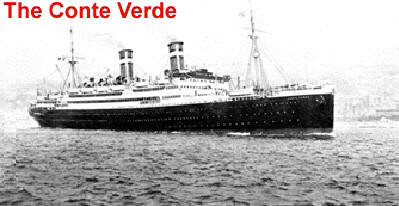 She went to Harmon on the Hudson, in 1931, to see Him. Here is how she describes it: " I saw Christ before me, as He was seated on the couch, in the expression of all His figure and His divinely lit-up face, in His eyes beaming love…It was the fulfillment of a long-awaited meeting, the climax of my life... I declared as loud as I could: "Jesus Christ!" with all the solemnity of those great words. 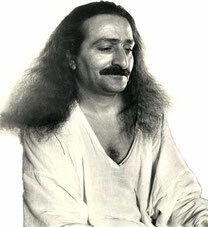 Something within me recognized in this dear shape of Meher Baba, the incarnation of Jesus Christ of Nazareth. So the unbelievable became a revealed fact... I gave my will to His Will, my life to His cause of truth and love, knowing that to love the truth means to live it..."
The following day, Ilya decided to come and meet Baba also. He asked Baba a question that had troubled him much of his life: "How can one love when there is so much evil in this world? "The Master, eyes beaming with that very love, answered on His alphabet board: “You have to take love in your heart.” And He added, “Fine man.” Ilya said of Baba, “This is the first time that I have met a man who really has Divine Love." Unfortunately the Count developed a fatal illness which lasted two years. Following Baba's wish, Nadine nursed him faithfully. "I owe my Master all the superhuman help which enabled me to go through the greatest trials — at the same time He removed certain obstacles from my life." Ilya became a changed man, and amazed her with his "real surrender and a most divine patience and serenity." He told her once, when he was ready to go, All is gone, all has crumbled, only my love is unshakeable." Some days, in a positive mood, he would say "If I have to live, we will live only to make others happy." He once told a group of visitors, "The most important thing is that my wife and myself have a perfect spiritual understanding. This is of greatest importance!" Once, when Nadine entered quietly, thinking he was asleep, he opened his eyes, and with deep love, said "0, it is you, Dinochka ... me, asleep when you are here?! No, even if I die, I will be watching you from there and I shall always guard you from mistakes, because we always have to pay for them such a terrible price." Nadine attests that this son of Leo Tolstoy died a true follower of Meher Baba. On her first meeting with Him, Baba had told Nadja to give up yoga, as it had already injured her. "Yoga is not for the West," He said, an interesting comment. Perhaps these kriya yoga exercises, whose purpose is to raise the kundalini energy up through the chakras, led to her final, incurable illness (Lou Gehrig's disease) in which her throat muscles atrophied. 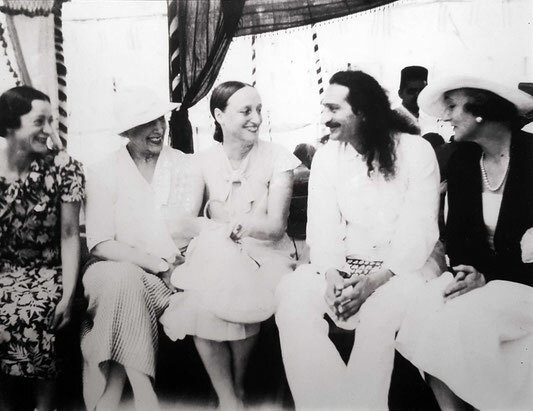 It is interesting that Nadja (rechristened Nadine, to distinguish her from Baba's cousin Nadja) was put on a year's silence by Baba when in India. On the day they met, the "Compassionate Father" spelt out her future on the board with the unforgettable words: ''I will repay you for all your suffering! I will give you permanent bliss. You will see things as they are, as you can see things now, here, in this incarnation. You are a beautiful soul." 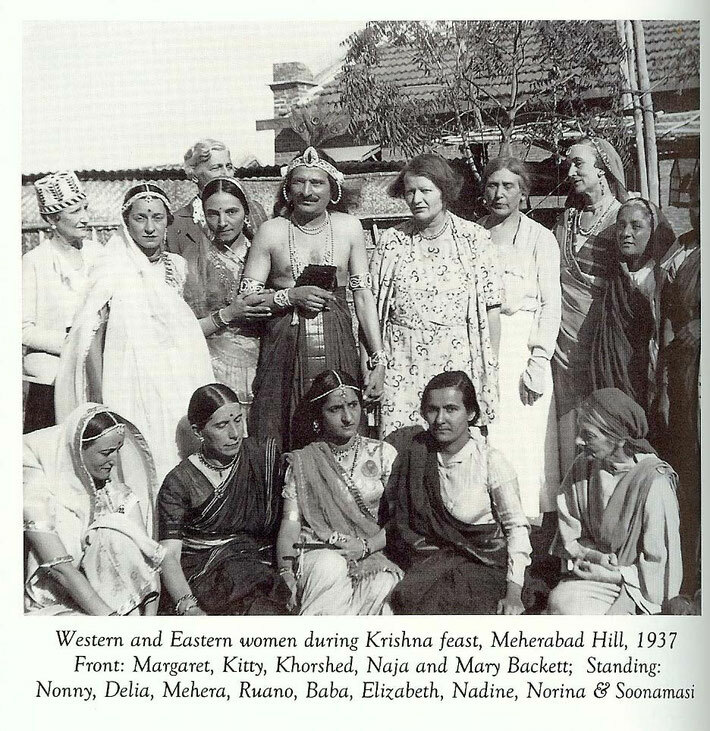 Her own sufferings and her days of nursing Ilya must have prepared her for the spiritual role she played in the Nasik days in India, for Baba put her in charge of the dispensary there in 1937. It was a free hospital for the poor, women and children. Baba told her: "There are thousands of hospitals in the world, I could have here thousands of nurses to work. If I have given this work in the hospital to you, it is because I want you to learn serving in real spirit, selfless service." She describes the scene: "To the hospital came mostly the poorest elements of the country, wrapped in their rags and worn-out saris…the real destitute . . . when the medicines and injections given by the professional doctors could not bring its due relief, Baba's appearance and loving embrace acted as the "holy wine," reviving their hopes and giving them the lasting impetus of recovery. The joy of seeing Baba and the faith that He alone can really help, acted within their hearts as a sure remedy," she says in an article in The Meher Baba Journal . I met Nadine in 1943. Of the three women disciples living together in New York, it was Nadine who first met the newcomer privately. Her room was filled with photos of Baba, and it was one small picture of Him by her door in which He looked exactly like my inner vision of Jesus, which convinced me at once of His Avatarhood. I had not seen any photos of Him before this moment. Nadine's warm welcome and her amazing blue eyes also "clicked" — she was the woman who had said to me, in a dream, "Attendez le maitre parfait" — wait for the Perfect Master. By this time, she was a widow and was living wholly on the providence of Elizabeth. One of the three "spiritual troubadours" sent West by Baba to do His work, Nadine quietly did her share. Her devotion to Baba, her down-to-earth warmth and humor, her perfect surrender to His will, especially as the dread disease took it silent toll, touched the heart. There was very little left of the Russian aristocrat. But there was that incredible depth of courage and stoicism that I do associate with Russian character. "A dear friend, Filis, phoned me one day, excited to share the news that I might attend a talk by a disciple of a Perfect Master — Norina Matchabelli. 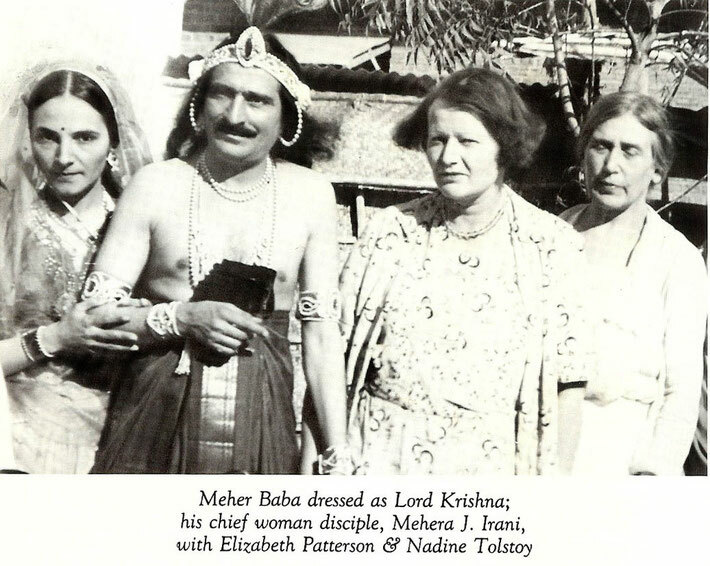 That was the first time I heard of Meher Baba. I vividly recall that evening. As I travelled on the bus from my uptown home, I was enveloped by a rare new feeling. I felt suffused by a current which switched my inner being into a high gear. Reflecting on that feeling after many years, I identify it as the beginning of an enhanced consciousness, as Baba's way of rending a tiny bit of the separatist veil. My memory of that transitional period of deepening consciousness is integrally tied in with meeting Nadine Tolstoy, Norina Matchabelli, and Elizabeth Patterson. 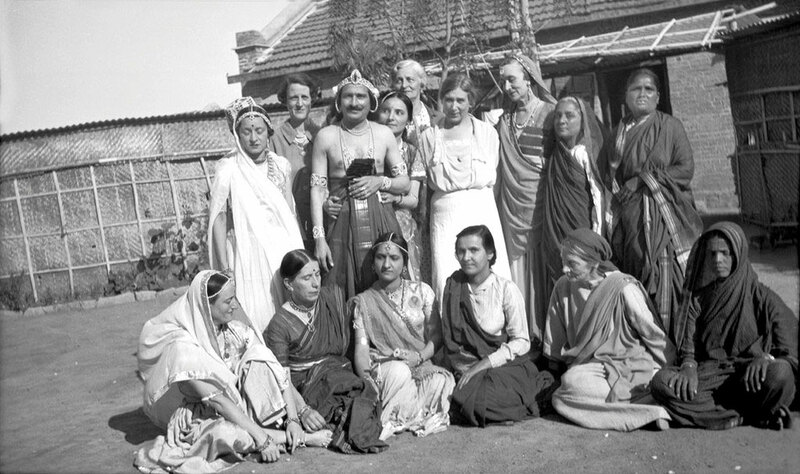 It was one of the happiest events of my life, next in significance, perhaps, to that supremely happy event of meeting God Himself, Meher Baba in 1952. "The first talk given by Norina by 'thought transmission' I found to be a momentous experience. As a philosophy student at Columbia, I had a habit of mind that was skeptical, objective, and analytical, which often results in a rather negative feeling and omits the most important function, making use of the intuitive heart. But there was no doubt about my feelings when I left that first talk — or the others that followed; my heart was very joyful and light. Of course, I wanted to return again and again. The Beloved One had made it a very positive experience for me. I said to myself, I want to feel like this all the time! "Nadine's role was to meet newcomers. I flatter myself if I say she seemed like an old friend. As I am too of Russian extraction, there was an ethnic element which accentuated the ease and pleasantness I felt with her. She was a Countess and had a noble bearing, along with pure blue eyes and a contagious sweet smile that drew me to her immediately. Someone has said "We learn best from those we love," and she inspired love. At a second meeting she invited me into her private quarters, upstairs in the duplex. She was waiting to receive me with extended arms. Her manner, so spontaneously loving, touched my heart deeply. Just entering into the ambience of Norina, Nadine and Elizabeth was truly coming into an enlightening world of brighter values. 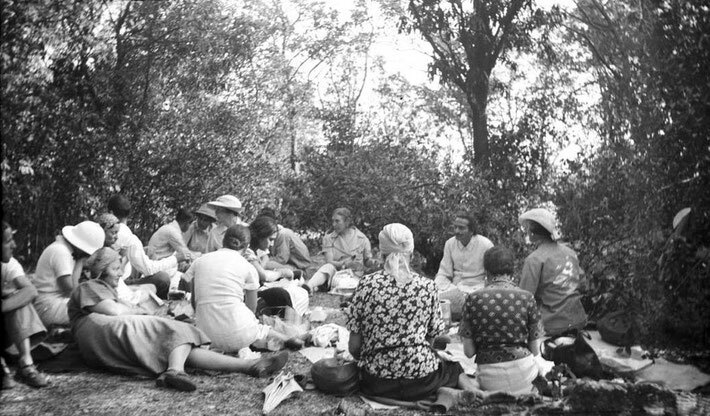 "After some months Filis and I were invited to live with these women disciples. Of course I felt unworthy of this grace. I never dreamt of sharing the life of such women, reknowned not only in the worldly, sophisticated sense, but more importantly, in the spiritual sense, insofar as Baba had said they were members of His Circle. "I found all three women had remarkably creative imaginations of a selfless nature, and Nadine, no less than the others. Particularly during the course of her illness, which began to deteriorate during my first year of residence with her, the intensity of her spiritual love showed in her daily life. Some friends who came with the intention to console her found themselves as I did, uplifted by an atmosphere of a purer, vibrant life, benevolent and harmonious in effect . . . one felt disarmed . . . who was there to console in the face of such good will and cheer? Her visitors would generally be greeted by her charming smile, her glowing eyes. She never lost her sense of humor, or lost touch with reality. 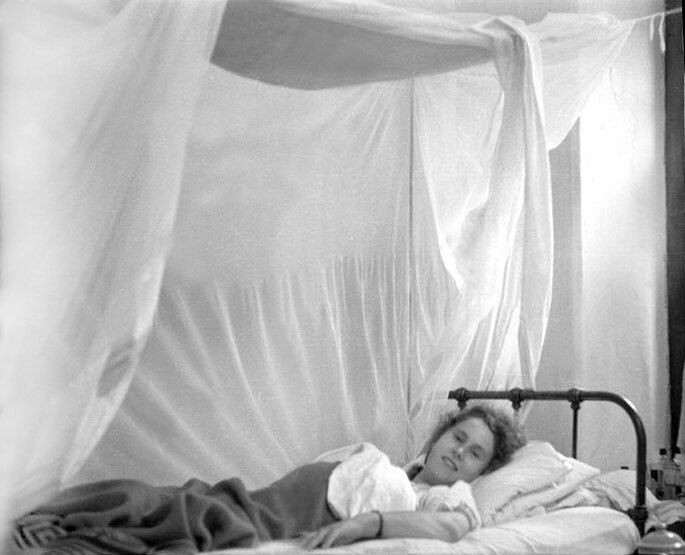 Her physician explained that a characteristic of her illness was lucidity, no dulling of the mind's faculties. 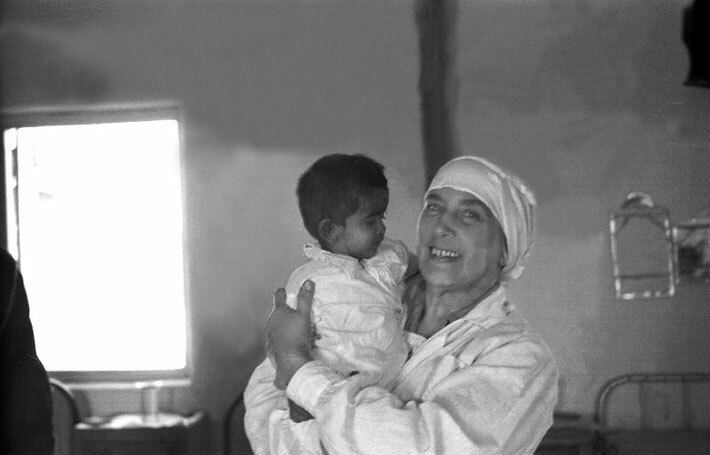 "Caring for Nadine was Baba's grace — she was my instructor par excellence; as she had been chosen by Baba to be the matron in a maternity clinic He had established at Meherabad. She would show me how to massage her, how to prepare her food, and other services, not least of all, how to feed her canary with words of love as well as food: "Baba loves you, Baba loves you!" In fact, Nadine's voice had been compared to that of a precious bird! Baba called her 'His nightingale,' after she sang for Him in the Nasik ashram. "In serenity and faith Nadine seemed to transcend her physical travail. She had an ardent yearning to remain alive only to see Him again. But her spiritual victory lay in her complete surrender to His will. Ultimately, her breathing was cut off, and an emergency trip to Roosevelt Hospital was made. Elizabeth, Filis and I were present in her room when Norina clairvoyantly described Nadine's departing soul. We watched her pass away with a most relaxed expression on her beautiful face." That was in 1946. I too recall the moment of Nadine's passing, her blue eyes blazing, her lips silently repeating, "Baba, Baba, Baba," inside the oxygen tent. As He said, "Mine is the victory." A great soul came to Him that day. Her ashes rest outside His tomb, on Meherbad Hill, under a simple stone that says, "Her happiness was Baba." P.S. Here is an interesting story Nadine told me. 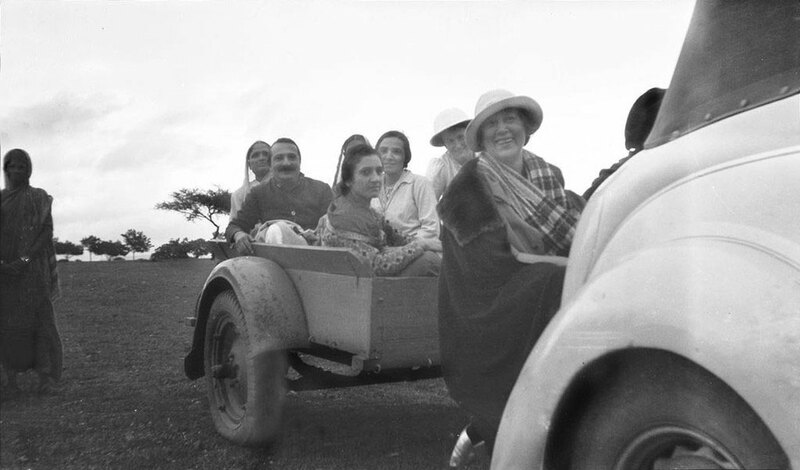 When she and Ruano Bogislav met, there was some immediate, unspoken antagonism that neither could understand, which made life together in the ashram — and Baba made them roommates! — very difficult. Nadja asked Baba, "Is it something from another life?" She prayed for His help. And then one cold night in North India, she awakened to find Ruano tenderly covering her with an extra blanket. The "karma" was broken, and they were afterwards good companions. This an extract from this site. 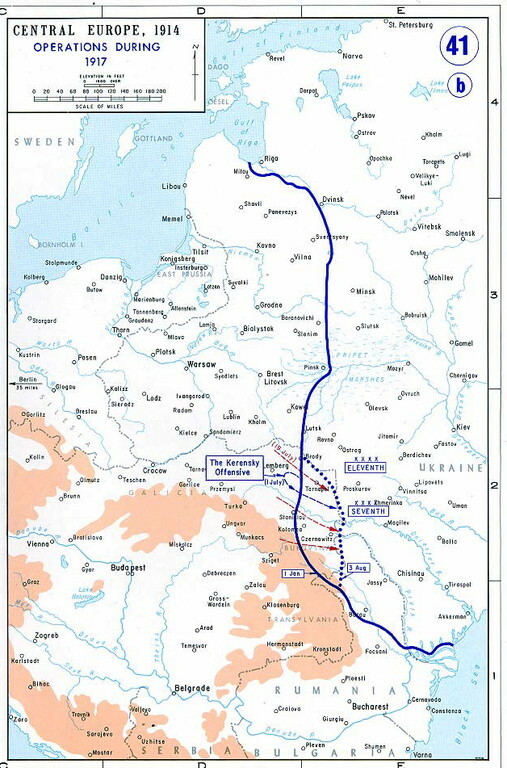 By the spring of 1942 the war against Japan and the Nazis looked grim. 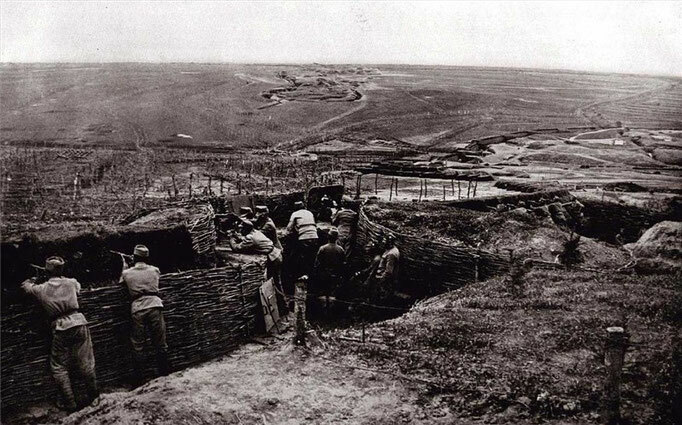 The Japanese had conquered the eastern portion of the previously impregnable British empire, starting with their capture of the fortress of Singapore and concluding with their occupation of Burma. 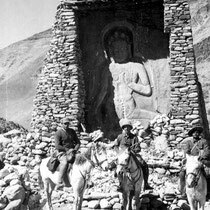 With India threatened, and their allies in China surrounded by hostile Japanese forces, Roosevelt and Churchill hatched the idea of using the mountainous kingdom of Tibet as a transit station for supplies to be moved overland from India to China. Mind you, there were a few small problems with this plan. 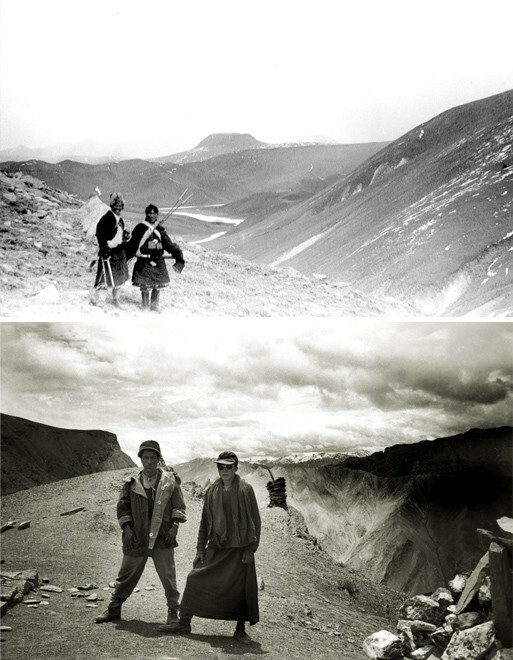 In addition to climbing over the natural obstacle of the mighty Himalayan mountains, there was the danger of dying of altitude sickness brought on by trying to make your way across the highest country in the world, not to mention the legendary antagonism expressed by most Tibetans towards unwelcome outsiders. 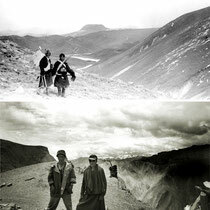 Enter the most unlikely Long Rider in Tibet’s long history, the dashing Count Ilya Tolstoy. 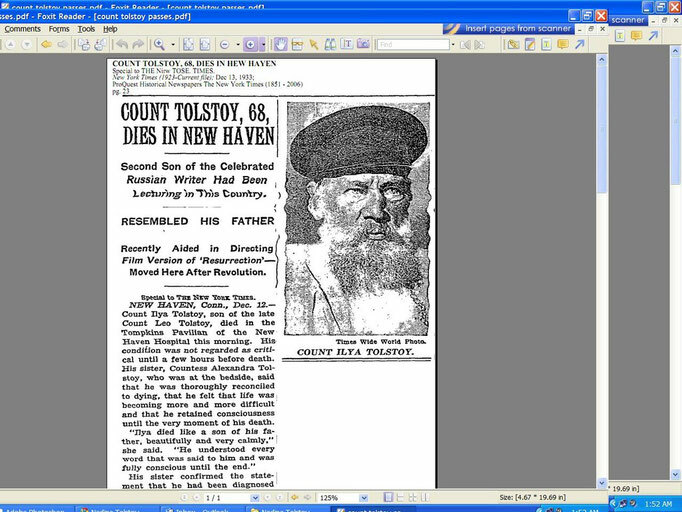 Roosevelt’s appointed Long Rider ambassador was a grandson of the famous Russian author, Leo Tolstoy. 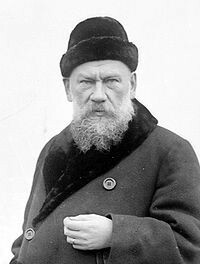 The elder Tolstoy was so passionate about horses that his friend and fellow author, Ivan Turgenev, accused him of having been a horse in his previous life! The famous author of War and Peace, who had hosted the Swedish equestrian explorer Vladimir Langlet, rode right up to his death. Coming from such a strong equestrian background, it was no wonder the author’s grandson, who had studied and settled in America before the war, was chosen by Roosevelt to head this delicate equestrian diplomatic mission. Accompanying Tolstoy was Captain Brooke Dolan, a brilliant Princeton University naturalist turned US army spy. Go to India. Find horses. 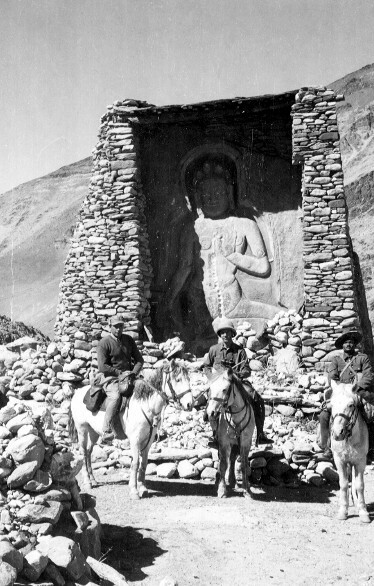 Ride over the Himalayas to Lhasa without getting killed. Introduce themselves to the Dalai Lama. Entice him to become a diplomatic ally. Then ride on to China before reporting back Washington DC. 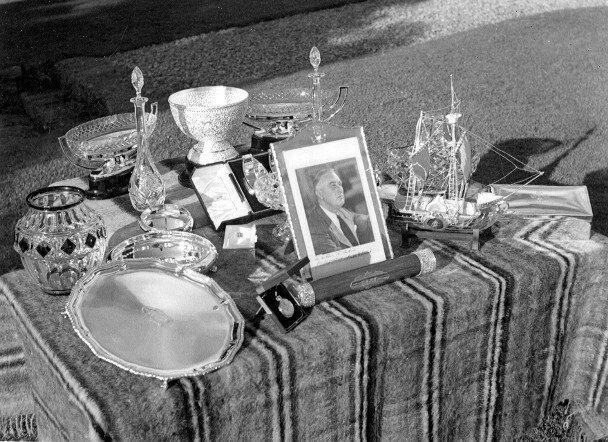 To assist them FDR provided the Long Rider ambassadors with a number of lovely gifts deemed appropriate for the young ruler of Tibet, including a silver framed photograph of the president and a precious gold chronograph watch. EHER BABA … is not only a Teacher. He is the Awakener, and not a theoretician or a philosopher. He is the very spiritual Guide on the spiritual Path towards truth and perfection. He can take the full responsibility of your soul and bring it to the ultimate end, to God-realization itself. He is not a thinker. He is beyond this stage. He is the very fulfilled example in the state of perfection. And that state is the expression of attained Godhood, of actual, permanent Union with GOD or Supreme Soul (Oversoul) ... Paramatman. He is therefore free from desires, passions and imperfections of any kind which are characteristic of ordinary man and of the highest human genius as well. As it is not the intellect or mind that gains GOD, as BABA says, but the actual spiritual experience ... he helps us to experience the actual change in consciousness. He guides the aspirant toward selflessness, toward freedom from egoism, bringing about the final surrender of the ego, of the selfish lower self or the limited, personal "I". He does not encourage the isolation from life and life's personal duties and occupations. Life itself offers all opportunities for overcoming men's selfish inclinations. The Master uses these life experiences to awaken a clear spiritual vision and understanding of the goal of life as realization of oneness, of unity of all life. He guides and wins the soul with his divine pure love. His infinite love awakens the experience of the heart. It opens the heart. It awakens the pure joy, an experience free from attachments and personal limitations. It leads to the union of the head and the heart, to the balance indispensable for spiritual progress along the spiritual Path. His all-knowing and infinite power gives him the true authority in the guidance of men. His Godhood is a pure divine stare in permanent bliss, and his divine love radiates its pure light and grace to the sincere seeker of that light and truth. 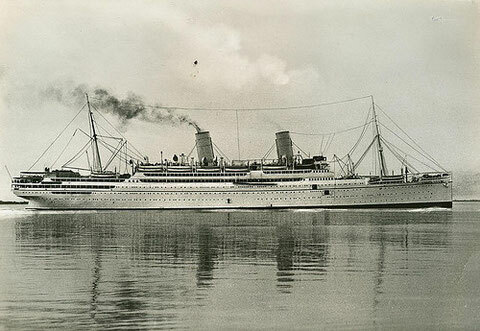 Departed New York 1st December 1936 and arrived at Bombay 14th December 1936. 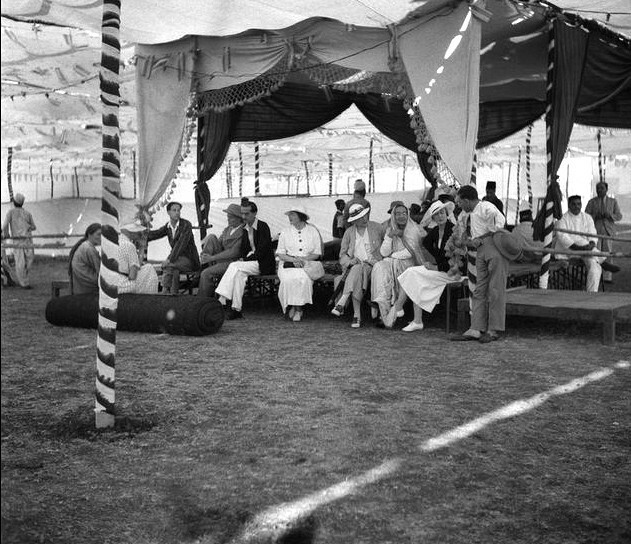 Nadine travelled with Garrett Fort and Grand Duchess Marie. Departed Bombay 8th July 1937 and arrived in Venice , Italy.